This is the new definitive guide to the diverse mountains crags of Buttermere and the Newlands Valley, as well as, the sandstone seacliffs of St Bees. The guide is in the same format as the recently published Gable & Pillar/L1> and is comprehensively illustrated throughout with stunning action shots and superb colour photodiagrams of all the crags described. 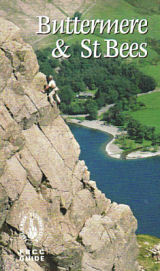 As with previous FRCC guides there are also chapters on geology and conservation, together with sections on climbing walls, a list of useful contacts, the location and contact details of campsites and mountain rescue, along with a comprehensive first ascents list and crag chart - a triumph in guidebook production.